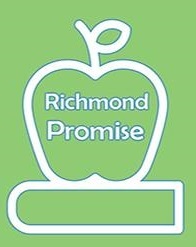 Richmond Promise: Up to $1,500 is available for your education! A. Are you a Richmond or North Richmond resident? B. Are you graduating from a high school within the WCCUSD boundaries? C. Have you attended local schools since the 9th grade? Staff will be on hand to provide El Cerrito High students and their families and overview of the goals and eligibility requirements to apply for a Richmond Promise scholarship and provide an opportunity for questions and answers. The presentation will also include information on how to fill out a successful application. Applications Due March 17th! Start applying now!